Sweet and tangy, cool and creamy. This milkshake recipe is as simple as it is tasty. 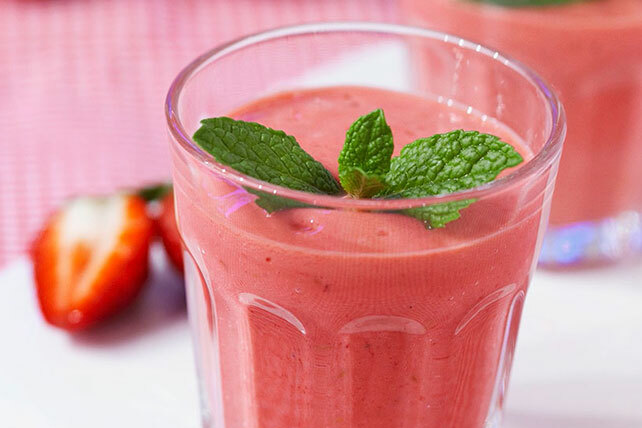 Strawberries and cream, a classic combination, come together in this strawberry milkshake. Try substituting blueberries for strawberries.